After party cleaning in Reading RG1, is one of our most convenient and useful services as it gives customers extensive coverage of different cleaning requirements without excess costs or unnecessary fuss. 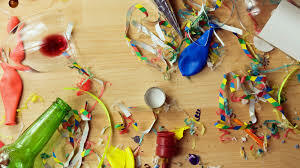 Our after party cleaning service in Reading RG1 is the quick and efficient solution that will have your home in tiptop condition after a party, gathering, social event etc. without you having to lift a finger. 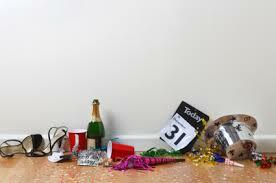 Our expert cleaning teams will deal with a large number of cleaning chores, typical after a party. The cleaning service will cover all rooms of the property, or customer specified areas only. As expected, the cleaners will pay extra attention when cleaning the kitchen, the toilet and the bathroom as these areas see a lot of use and abuse during a party or home gathering. Leftovers and food scraps will also be collected from the premises, packed along with other rubbish we come across, such as discarded bottles, cans, plastic cups and plates, tissues, cigarette buds and all other rubbish we find. Finally everything is wrapped up and taken out for disposal. The number of cleaners we send you depends on the scale of the cleaning request. If necessary we will provide you with a team of fully equipped, qualified cleaners to complete the process within the shortest time possible. The service is quite thorough and will yield best possible results throughout the house – which is good news for customers, as traces of the party can be found in all sorts of places. 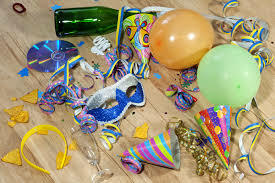 Our after party cleaning service available in Reading RG1 comes with a twist – customers can order it as pre party cleaning, which is a great way to bring your property up to scratch for an upcoming event. The pre party cleaning too is a very thorough and efficient cleaning solution that will deliver exceptional quality cleaning results all round, without costing you too much. A combination of pre and after party cleaning services is also available – this way, customers get complete coverage of all before and after cleaning needs, extra peace of mind and genuine cost efficiency. The service is available during all days of the week, this also includes Sundays and public holidays. Advanced bookings are also available.